The CLEVERTOUCH Pro Series is a highly versatile interactive touchscreen that can be used in a wide variety of professional settings including reception areas, hospitals, universities, meeting rooms and collaborative areas. 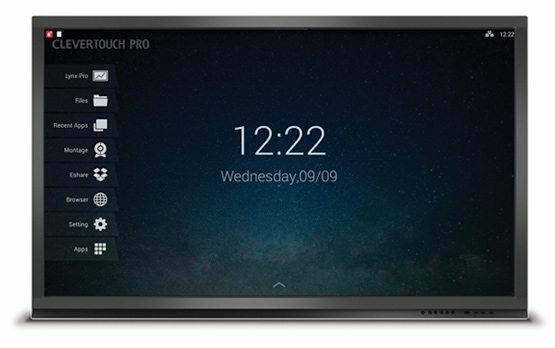 Despite being much more than a powerful interactive touchscreen, the Pro Series is remarkably easy to use, thanks to its amazing LUX user interface. 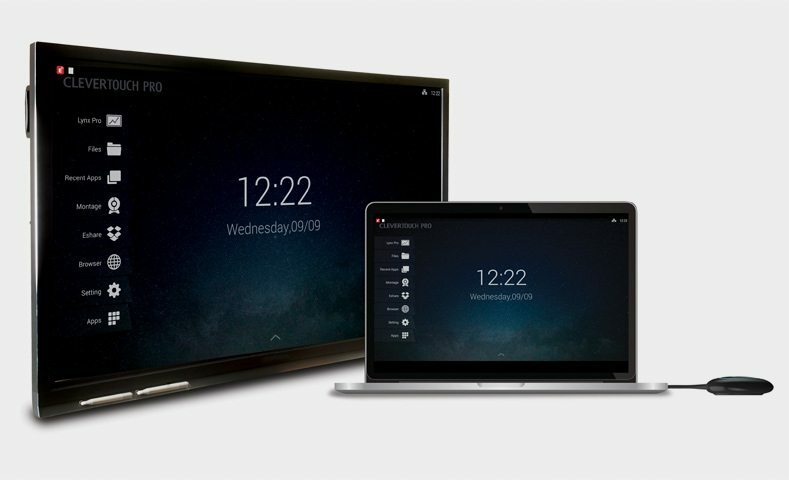 Furthermore, it requires no set-up or calibration, has full access to the internet and can display a variety of files without the need to connect additional hardware. Whilst collaboration and screen sharing are at the heart of the Pro Series, a variety of integrated business apps provide unequalled flexibility. With a wide selection of common-sense connectivity the Pro Series can find an invaluable role in many businesses, and provide a wonderful interactive experience for employees and customers. The Pro also comes with a number of accessories to enhance the overall experience. 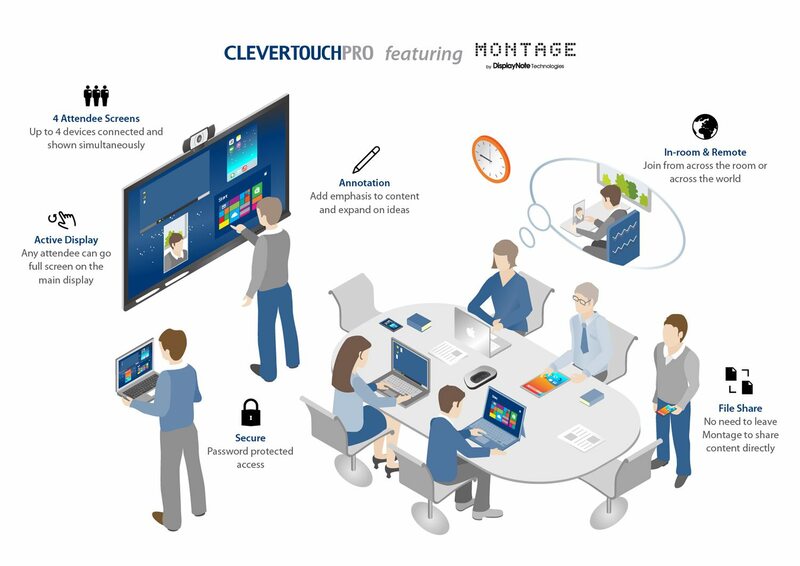 For example, with the Clevershare wireless device you can control the Clevertouch Pro from anywhere in the room – simply plug the Clevershare into your laptop’s USB port and you can show and edit your laptop’s content on the Clevertouch screen.